Click chart to see the latest global stock market movements. World markets rallied Thursday as investors cheered the Federal Reserve's decision to maintain the pace of its bond purchases. All major European indexes climbed by just over 1% in morning trading, with London's FTSE 100 index leading the pack with a 1.4% gain. Japan's Nikkei closed 1.8% higher and the Australia ASX All Ordinaries index added 1.1%. Hong Kong's Hang Seng increased 1.7%. At the same time, the U.S. dollar was weaker against most major currencies. Major exchanges in South Korea, Taiwan and Shanghai are closed Thursday for a holiday. The Fed's decision could have the biggest impact in emerging markets, where investors had been pulling their money and returning to the U.S. in search of higher yields. Indonesia's stock market surged almost 5%, while India's Sensex and the principal Philippines exchange jumped 3%. Markets were responding to the Fed's decision to continue its bond-buying program at full blast for at least another month, as the economic outlook remains too tepid to satisfy the central bank. The central bank said Wednesday that it had decided to "await more evidence that progress will be sustained before adjusting the pace of its purchases." Frederic Neumann, an economist at HSBC, said that "markets are thrilled" with the Fed decision. The delay, he said, will provide a "much needed reprieve for battered emerging markets investors." The program, which is the third round of a controversial policy known as quantitative easing, still doesn't have a scheduled end date. 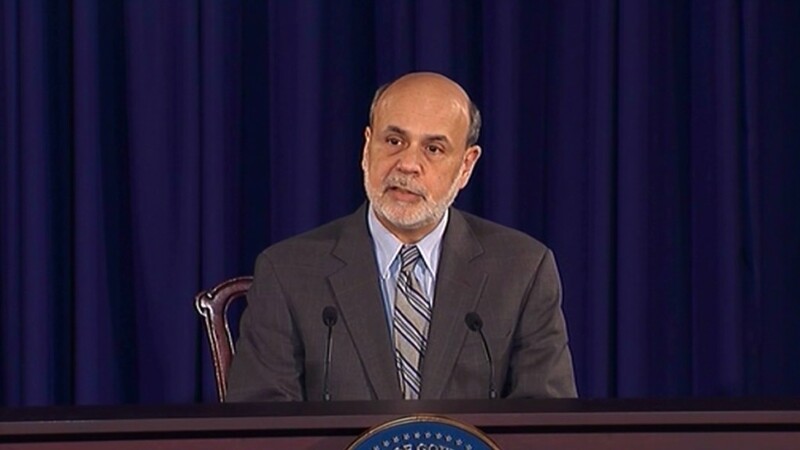 But Fed Chairman Ben Bernanke has previously said he expects the Fed to begin tapering off the purchases later this year, and to end them completely by the middle of 2014. Investors largely assumed that the taper would begin this month, and have sent bond yields and mortgage rates soaring. But Wednesday's announcement caused stocks to rally as bond yields fell. In the U.S., the S&P 500 immediately jumped to a new record high, and the Dow quickly followed. 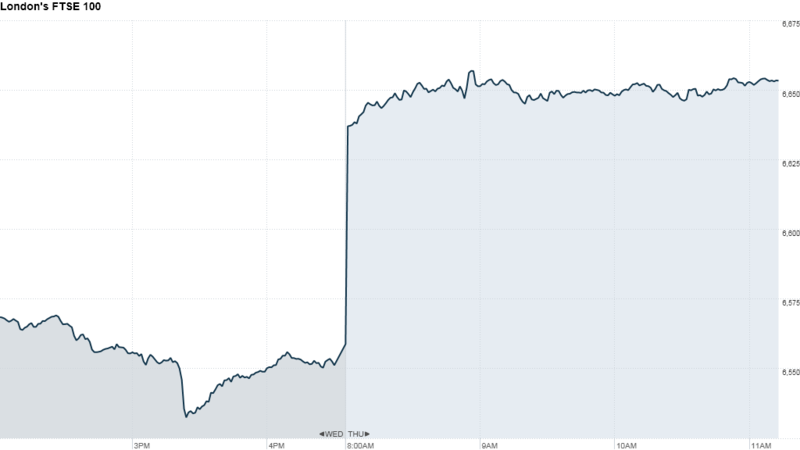 The Nasdaq also moved up after the Fed's surprise announcement. All three indexes closed up more than 1%.